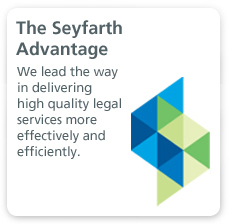 With a national practice spanning many industries, Seyfarth Shaw’s seasoned Bankruptcy Litigation team combines experience, thoughtful strategy and a client-focused approach to overcome obstacles typically encountered in bankruptcy proceedings. Our litigators appear in federal bankruptcy courts across the country armed with a deep knowledge of applicable law and a complete understanding of rules of procedure. 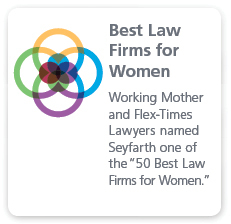 Our attorneys combine industry experience, litigation skills and in-depth familiarity with substantive law to aggressively pursue our clients’ interests. Our expansive knowledge of how debtor and creditor issues affect day-to-day operations and long-term business viability allows us to provide the guidance necessary for our clients to achieve their goals. For example, a client, one of the largest commercial insurance writers in the United States, initiated a stock loan program in the late 1990s where senior executives could borrow substantial sums to purchase company stock. Those loans became due in the midst of the largest financial crisis of our lifetimes, when the stock had lost substantial value. We successfully negotiated restructuring agreements with some executives, and pursued litigation in bankruptcy court against certain executives who defaulted on their obligations, including litigation of issues of first impression about the exemption of golden parachutes and senior executive retirement programs in bankruptcy. In addition, we are leading the asset recovery efforts in a massive fraud scheme. This particular matter involves the prosecution of dozens of complaints to recover assets fraudulently conveyed by company officers. A number of complaints seek the return of proceeds from a stock redemption (in total $40 million); other complaints seek the return of proceeds (in excess of $20 million) used to purchase exotic cars, luxury goods and services. Still other complaints seek recovery from officers and directors for breaches of fiduciary duties. We also have experience in complex cross-border insolvency matters, helping clients protect their assets in the U.S. and abroad. One recent international matter involved the dismissal of an involuntary Chapter 11 case filed against the owner of a Four Seasons luxury resort hotel located on the Caribbean island of Nevis. Our client, a secured lender, held a $175 million mortgage on the resort property and sought to foreclose its interest. After the involuntary bankruptcy case was dismissed, the secured lender was able to complete its foreclosure and then proceeded to fund the restoration of the hotel (which had been damaged by a hurricane), allowing the resort hotel to recommence operations, all of which saved thousands of jobs and had a substantial positive impact on the Nevis economy. 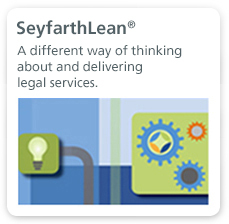 We create efficiencies for our bankruptcy litigation clients through the application of our innovative SeyfarthLean methodologies. Process mapping is one of the tools we use in bankruptcy litigation matters to graphically depict the workflow and steps required to define the scope of work, and have developed a process map for our retail real estate clients to address retail tenant bankruptcy matters. As a result, we are able to more efficiently deliver services and offer alternative fee arrangements based on our deep understanding of the time and resources required for the engagement.